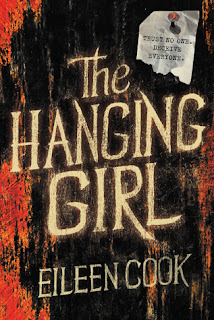 The Hanging Girl was a quick and fun read. The novel started by getting to know a little bit more about the main character Skye. 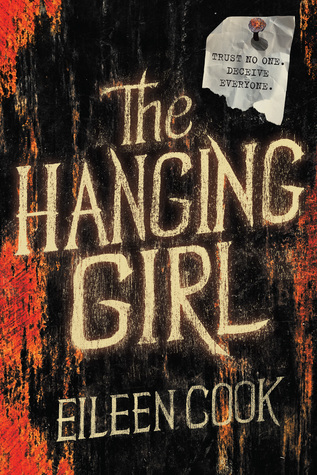 She was aching to get out of the small town life and she made the decision to help a girl fake her disappearance in order to have enough money to start over. I loved how ambitious and quick witted Skye's character was. She was constantly ahead of the game and was a quick thinker. Things quickly went south for Skye's plan and she was forced to search out the person who made the kidnapping plans take a dark turn. I loved how the suspense of the novel continued to build and build until the very end. I definitely did not see the ending coming and it was pretty shocking! I didn't particularly like the ending of then novel, but the other 99% was great! I would rehoming this novel to YA readers who like light suspense/thrillers. Thank you to NetGalley and HMH Books for Young Readers for sending me this novel in exchange for an honest review.